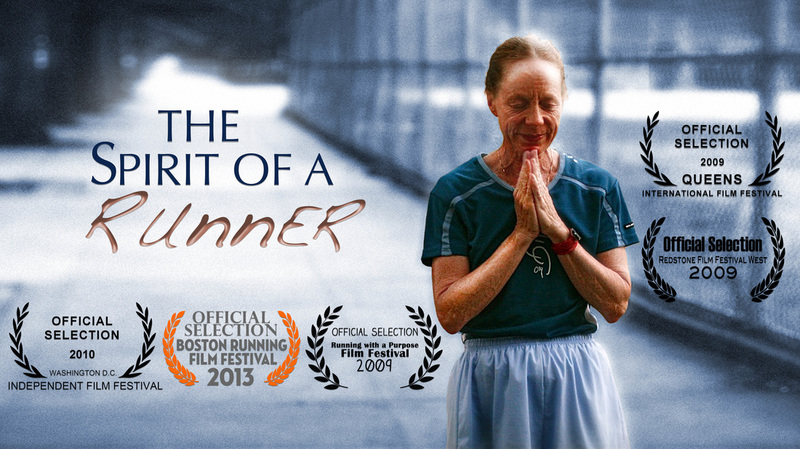 The Spirit of a Runner (2008) is a documentary that tells the story of veteran ultramarathoner Suprabha Beckjord as she tackles the Everest of distance racing in this documentary film about the Sri Chinmoy Self Transcendence 3,100-Mile Race (28 minutes long). You can watch it here on Vimeo. A veteran ultra marathoner tackles the Everest of distance racing in this documentary film about the world's longest certified footrace. Filmmaker Jessie Beers-Altman turns the cameras on distance runner Suprabha Beckjord as she takes on the Sri Chinmoy Self-Transcendence 3,100 Mile Race for an unprecedented 12th year in a row. Hailed by her peers as "the greatest super-long distance runner in history," Beckjord has made an annual tradition of running the race - which takes place around a half mile-long loop in Queens, NY - as a tribute to Bengali spiritual leader Sri Chinmoy. A disciple of Chinmoy's for nearly thirty years, Beckjord faces a new challenge as she confronts the journey for the first time since his death. A portrait of inspiration, The Spirit of a Runner challenges our definition of possibility as it explores the enduring capacity of the human heart and the unfaltering power of self-transcendence.